Wagtail Storage is located on the Diseworth to Belton road and has a different access to either the Owl House Spa or Langley Priory. The storage facility is well signposted from the main road. 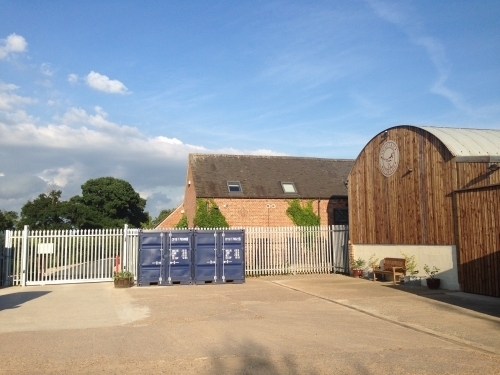 Self storage facility in beautiful countryside. Great security featuring CCTV and key fob entry system. Unrivalled road links. Close to East Midlands Airport. Wagtail Storage is a brand new storage facility set amongst beautiful countryside on the Langley Priory Estate in the East Midlands. All our storage boxes are brand new and are located in an immaculate high security compound featuring CCTV, palisade fencing and a key fob entry system. The facility is perfect for small to medium size storage solutions both for the domestic market as well as serving commercial and archiving needs. Our central location is unrivalled in terms of accessibility and convenience which means that we routinely serve the Market Towns of Melbourne, Ashby de la Zouch, Loughborough, Castle Donington, Long Eaton, Kegworth as well as the surrounding villages. The M1, A42 and A50 motorways are just a 5 minute drive away. Profits from the storage business are spent on essential conservation projects on the estate's ancient Grade II* listed buildings. Built mainly in the 1580s and 1690s, Langley Priory has a long history with parts of the main house dating back to the 12th Century. It is one the oldest and most important historic buildings in Leicestershire. Storage revenue keeps this vitally important building in good condition for the future. We loved this yard. Very safe and secure with excellent customer service. Recommend. We are delighted with our new storage facility at Wagtail. The location, access hours and security make it great value for money and really easy to use.